Being Frugal and Making It Work: Holiday Gift Guide Giveaway Ending Tonight: Chicken Soup for the Soul: The Gift of Christmas - 3 Winners! Holiday Gift Guide Giveaway Ending Tonight: Chicken Soup for the Soul: The Gift of Christmas - 3 Winners! Chicken Soup for the Soul: The Gift of Christmas will delight readers with its stories about the joy, wonder, and blessings of the holiday season. This special collection is filled with joyful, heartwarming and merry stories about holiday traditions, family, and goodwill that the whole family will enjoy. 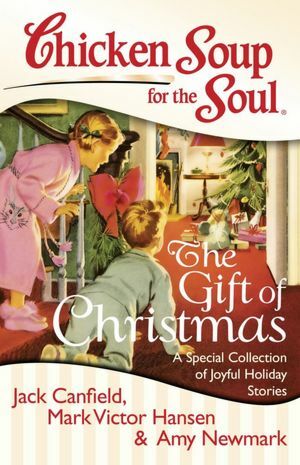 Most of these stories originally appeared in a limited edition book called Chicken Soup for the Soul: Tales of Christmas! 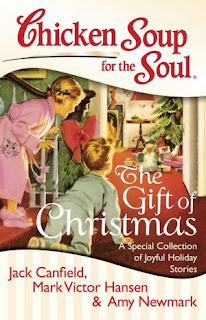 Enter to WIN a copy of Chicken Soup for the Soul: The Gift of Christmas! I love going into the malls and hearing the Christmas music. Going out and looking at the lights!